OK, Mamma isn't going to beat around the bushel here. This is the best supermarket we have ever been too. This is how supermarkets should be. Just.Like. La Manna. 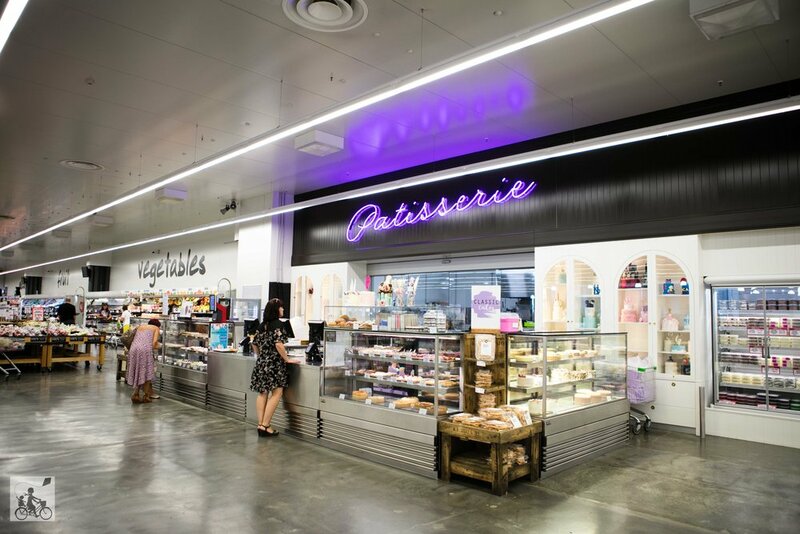 It is a massive space that has the best of everything - veg, cakes, meats, grocery, ice cream. deli PLUS a cafe. The size doesn't mean it's not a local business either - it is family owned with a passion for good quality food which shows in every aisle and in the smiles of the staff and customers. 1953, Founder, Pasquale (Pat) LaManna, opened his first fruit shop in West Preston and from those humble starting point grew the vision of what La Manna has now become. Australia’s largest 100% Australian grown fruit & vegetable market incorporating meat, deli, seafood, bakery, patisserie and groceries. You could spend the whole day here just browsing, eating, browsing some more and stop to eat again. Mamma's special mentions: Over the Holidays they have a number of FREE activities for the kids. Face Painting, Baloon twisting and CRAFT!